Nha Trang is no different from other cities of Vietnam in the sense that the city has got a great selection of local markets for travelers to explore and try their luck at bargaining. 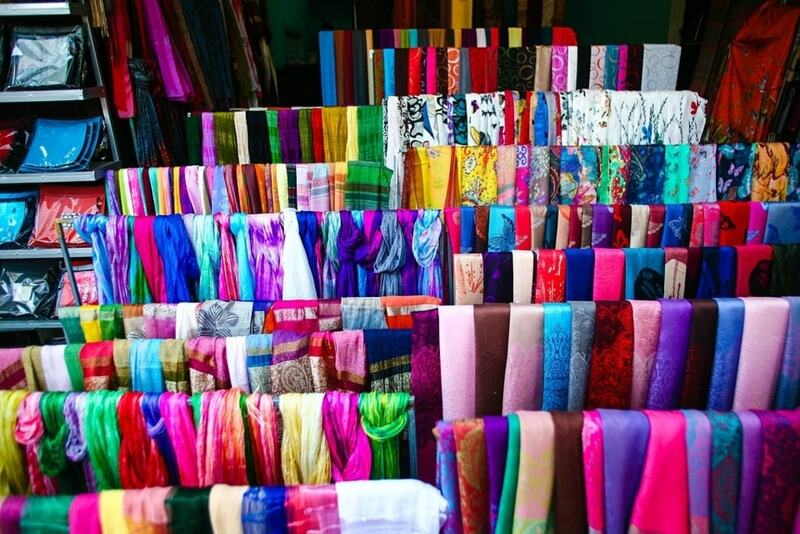 Markets are not only good for shopping for souvenirs and merch, they are also offer great insight into local culture and the day-to-day life of the locals. Here is some info on Nha Trang’s best markets. Take your time and explore each of these. Dam Market (Cho Dam) is the largest and most popular one of all. With three floors full of stalls and boutique shops to explore, Dam Market is a bit of an overwhelming experience, but nevertheless a must-do. It is part tourist souvenir market and part local market. You will find all sorts of merch, from clothes, shoes and bags to tourist trinkets, art, designer knockoffs, electronics, dried and packaged foods and food stalls. The dried seafood section is worth your time, because you will find some of Nha Trang’s most famous local specialties such as dried shrimp, squid and cuttlefish. Since this is a very popular destination for most tourists, prices may be a little inflated when quoted to you. Get your bargaining skills ready. However, do try not to haggle too much. Remember that a dollar to us may be worth a meal to the locals. To avoid tourists and get a more local experience, visit early in the morning. Early hours are when Nha Trang’s residents go shopping. Plus, it’s a great way to avoid the midday heat. Vạn Thạnh, Nha Trang, Khanh Hoa Province, Vietnam. For a more raw, local experience, head to Xoi Moi Market (Cho Xom Moi). Locals come here to shop for their groceries, household equipment and whatever else they need in their everyday life. Xom Moi Market is situated a little further away from the center of the city, so you’re gonna have to wake up a little early to get there around 7 a.m. which is when the market comes to life. You can enjoy a delicious breakfast here from the array of Vietnamese dishes the vendors sell in their stalls. These include pho, the de-facto national dish of Vietnam, and a local specialty called ‘bun ca’, a fish soup with rice vermicelli and fish balls. 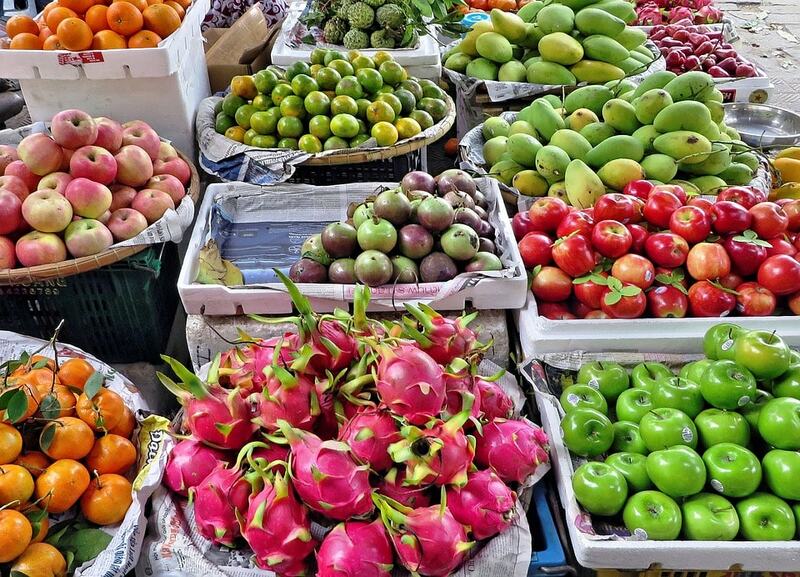 Don’t forget to buy some delicious fruits such as mangosteen (seasonal), milkfruit, rambutan and mango. If you do not like the smell of durian, you should probably avoid the food section or just hold your nose as you walk past. 49, Ngô Gia Tự, Tân Lập, Tp. Nha Trang, Khánh Hòa, Nha Trang. While other markets are great if you enjoy being surrounded by locals going about their day, Vinh Hai Market (Cho Vinh Hai) serves those who prefer to steer clear of the crowds. Vinh Hai Market is not only smaller, but it is also more local than the other two mentioned above. Perhaps you may even be the sole foreigner around. Don’t be afraid if curious locals come up and talk to you. Since the market is not touristy, you won’t find as much merch as you might you find in typical tourist markets, like souvenirs or fake branded items. You will get the real authentic stuff, and for a much cheaper price. Hai Tháng Tư, Vĩnh Hải, Tp. Nha Trang, Khánh Hòa, Vietnam. 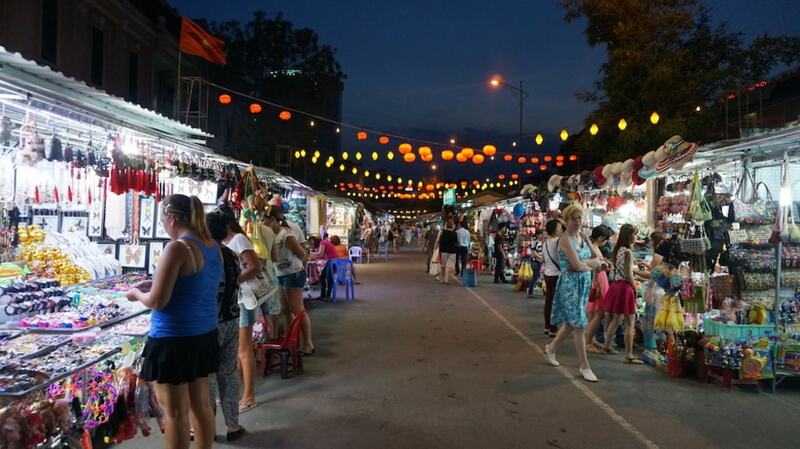 Of course, as with any other city in Vietnam, Nha Trang has a night market. What’s a little odd though is that it opens at 9 a.m., however it is most lively after the sun goes down. If during the day you were busy exploring all the beach that Nha Trang has to offer, and forgot to do some shopping, then the night market will be your chance. Like Dam Market, souvenirs, cheap clothes and all kinds of novelty items are sold in the stalls that line up and down the street. The night market will certainly be a great walk after a filling seafood dinner on the way to your next venue – possibly a pub to spend the night away. 78 Tuệ Tĩnh, Lộc Thọ, Tp. Nha Trang, Khánh Hòa, Vietnam.